a new bohemia: Celebratory poppers. Hooray! It's almost New Year's and I was selected to participate in the Mom Trusted Kids Craft Blogger Challenge! 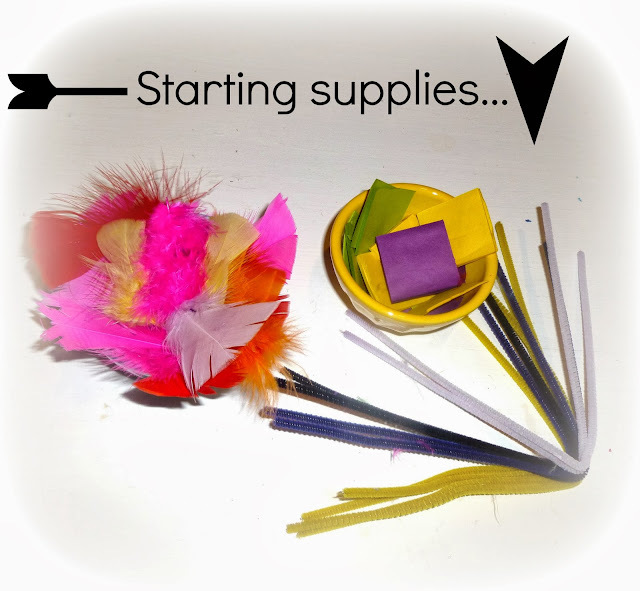 Which means... drum roll please.... you get to see a super fun party craft to do with your kids tonight AND have an activity at the ready for your New Year's Eve celebrations. 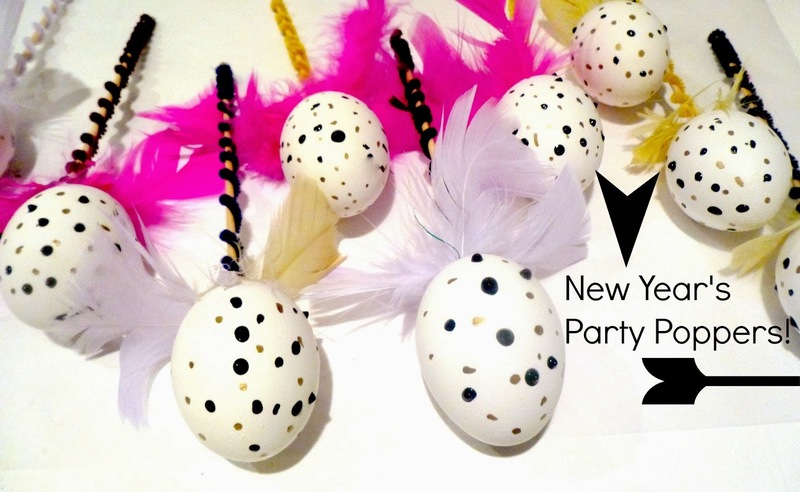 (And, psst... the adults at your party will think it's pretty cool too!). And, these will work for other celebrations too-- they'd be particularly fun for birthday parties! So, here's how the whole challenge works. Mom Trusted (a super cool site full of fun activities to make with kids!) gathers up a bunch of unbranded, unrelated craft supplies. They pack them into a bag and send them off to the selected creative bloggers. Each blogger is then challenged to create a unique project that others can replicate with the kids in their lives. The tricky part? You must use the items included in the bag to create your final project. Tear or cut the tissue paper into tiny 'confetti-sized' pieces. Trim your feathers into smaller pieces, reserving enough large sized feathers to have two-three per egg left over. 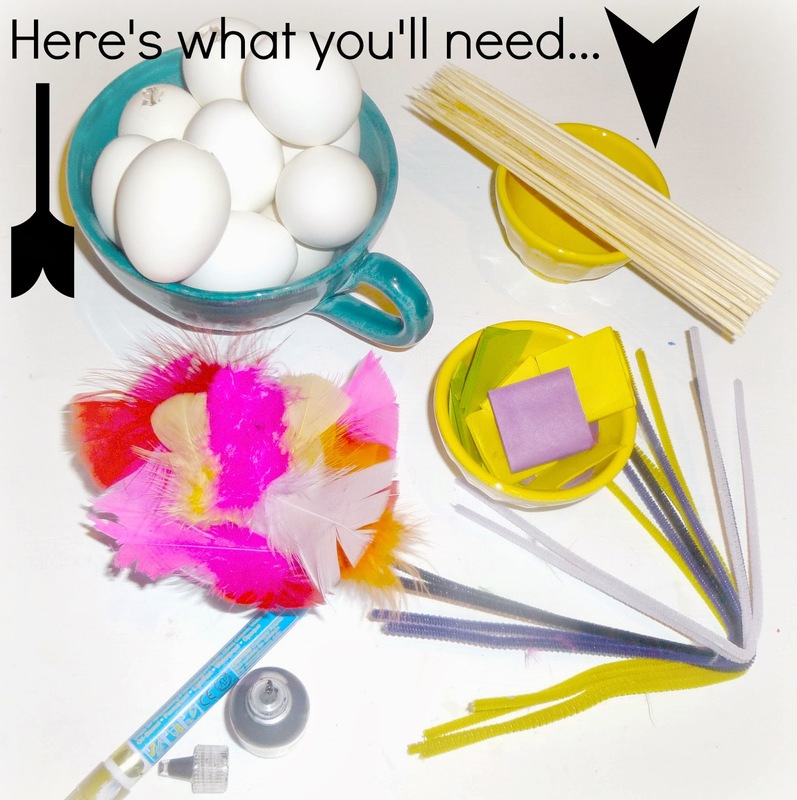 Wrap the skewers with the pipe cleaners to create a spiral pattern (or a solid covering). Stuff the confetti and snipped feathers into each egg. You want the eggs to be full. Be careful... the eggs are really fragile! 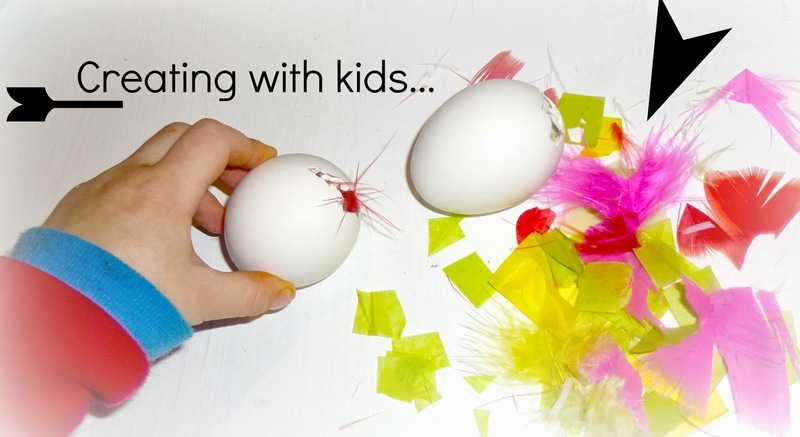 For an adult to do while the kids finish stuffing eggs and wrapping skewers: Use a glue gun to attach two-three large feathers over the hole of the egg (this will create a barrier so that the stuffing doesn't fall out). Then, use a glue gun to attach and insert a wrapped skewer into the egg. When this step is complete you will have created the structure of your popper. Working on a piece of parchment or a newspaper covered table, create polka dots on the eggs with the gold paint pen. Follow with polka dots from the black puffy paint. Allow to dry for several hours until the paint is hard. Celebrate by holding like a wand and popping them on each others heads. Use a gentle pop and take care with the sticks as younger children play! Happy New Year's to you and yours!!!! May it be a fabulous 2014. And, don't forget to check out the other featured projects at the Mom Trusted Kids Craft Blogger Challenge.... the site has hundreds of cool kids activities. Wow! Congratulations on being selected. I'd love to finally get chosen! Found you at the blog challenge. Great site. Who did your design? I really like how clean and bright it looks and would love to talk with the company that put it together. Thanks.